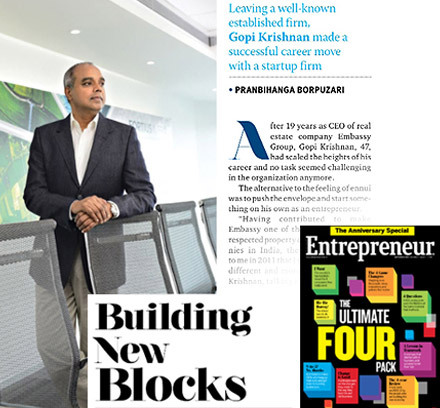 Fortius Infra is founded by Gopi Krishnan – a veteran who has over two decades of diversified experience in almost every aspect of the real estate business, both in India and internationally. Armed with his experience and professional associations, Gopi decided to replicate this success story for himself. This was the beginning of his journey from a corporate executive to the new-age entrepreneur. 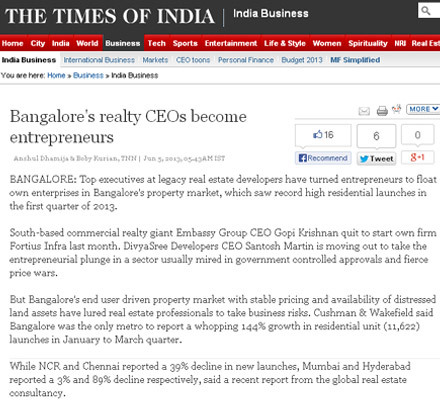 Gopi’s new venture with Fortius Infra has been covered by several national media outlets.